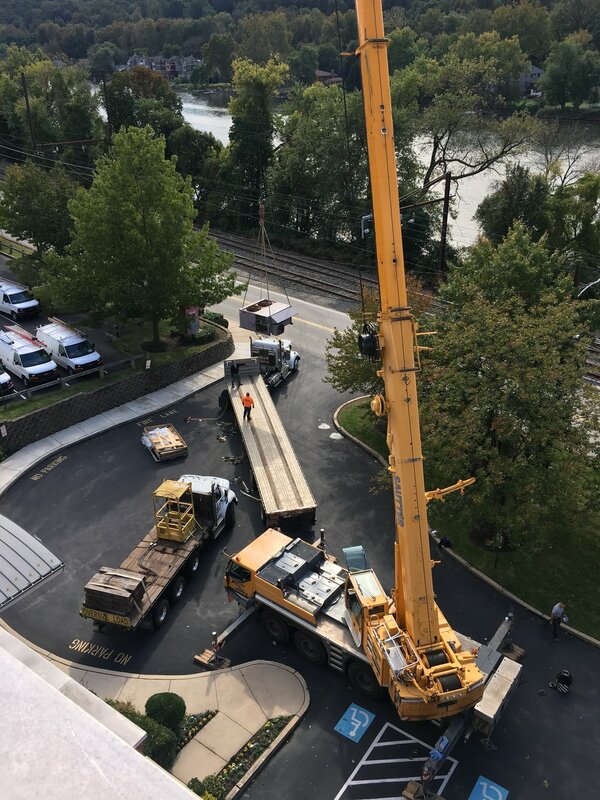 The BPG|360 Pennsylvania team along with one of our mechanical contractor partners Mechanical Solutions completed the replacement of 16 roof top air handlers during the weekend of October 20th. The project was planned to be completed over the weekend to accommodate the building tenants needs and avoid major disruption to their line of business. Work began Friday afternoon to disconnect all of the units scheduled for replacement. Saturday morning, all of the old units were removed and the new ones set in place. Sunday, electric and gas service was hooked up and all units were operational for the start of business Monday morning.